Dip to eat! Tangy summer specials, Nongshim Soba Noodle. 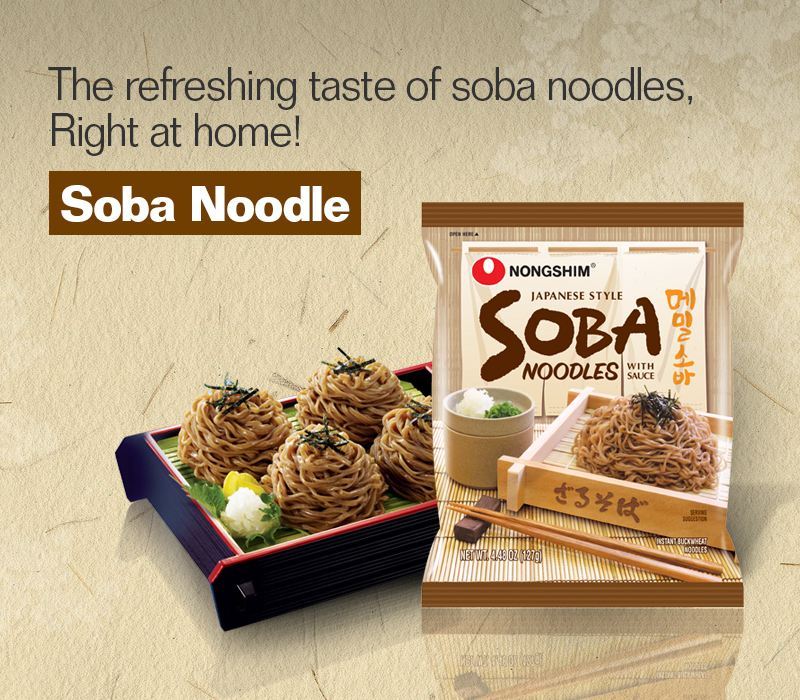 Nongshim Soba Noodle bring the traditional Japanese dish soba together with chewy noodles and a clean soy sauce flavor. Unlike other noodle products, the healthy buckwheat noodles are dipped into soy sauce. Enjoy cool and clean Soba Noodle. 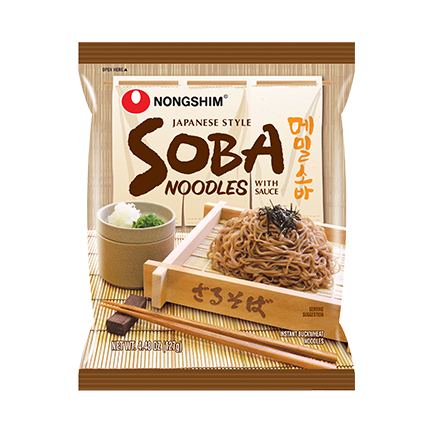 Nongshim soba noodles brings the traditional Japanese dish soba together with chewy noodles and a clean soy sauce flavor. Unlike other noodle products, the healthy buckwheat noodles are dipped into soy sauce. Enjoy cool and clean soba noodles. 1. Dipping sauce: Put soup base, 80ml (about 1/3 cup) of cold water, and vegetable mix in a small bowl. 2. Boil about 550 ml (2 1/2 cups) of water. 3. Add noodles and cook for 4-5 minutes, stirring occasionally. 4. Rinse the cooked noodles with cold water, drain well. 5. Dip the cold noodles in the sauce and enjoy.